Syrian Army’s Tiger Forces: History And Capabilities 5 out of 5 based on 20 ratings. 20 user reviews. The Tiger Forces are an elite unit of the Syrian Arab Army (SAA). This unit specializes in offensive operations. It is one of the main battle units of the Syrian army. Acting at the most difficult parts of the front, in fact, it has not suffered a single defeat, and it has repeatedly emerged as the winner of the fiercest battles of the conflict. The Tiger Forces belong to so-called “new divisions”, which were created during the Civil War, in the age when the Syrian Army had lost combat effectiveness, having been demoralized after several years of armed hostilities. The Tiger Forces are still playing a crucial role in the war waged by the Syrian people against international terrorism and foreign intervention. The unit of Tigers was created by colonel Suheil al-Hassan by the order of the state leadership of Syria in the autumn 2013. According to some sources, the new assault unit was funded by Rami Makhlouf, Bashar al-Assad’s cousin and prominent investor. The main body of the Tiger Forces was formed with Alawite officers from the Fourth and Eleventh Tank Divisions of the SAA. The Air Force Intelligence Directorate has also recruited and trained civilian Alawites to join this special force. Suheil al-Hassan is the undisputed leader of the unit. Recently, he was awarded the rank of Major General. He is 46 years old. He was born in the city of Jableh on the Mediterranean coast. Suheil al-Hassan is an Alawite, and has a wife and one son. He graduated from the Syrian Arab Air Force Academy in 1991, and served in the Syrian Air Force Defense’s Special Operations Unit and in the Air Force Intelligence Service. Successful actions by the colonel and his personal courage demonstrated in Latakia and Hama province in 2013, earned him the attention of the state military-political leadership. In the autumn of the same year, he was tasked with creating a special forces unit, intended mainly for offensive operations. From 2013 to 2014, the Tigers distinguished themselves in the East Aleppo offensive operation, liberating the city airport and the Sheikh Najjar Industrial District. In the summer of 2014, they held a series of successful operations against militant groups of Jabhat an-Nusrah in the Hama province. In the autumn of the same year, they faced terrorists from ISIS for the first time. The Tigers successfully engaged them in the area of the Shaer gas fields in the Homs province, until the march of 2015. One of the major achievements of the Tiger Forces was the liberation of the Kuweires airport in November, 2015. A small garrison of 600 soldiers spent almost three years under complete blockade by the terrorists, repulsing daily attacks of superior numbers of enemy forces. The Tigers played a crucial role in the force grouping which liberated Aleppo in the summer and autumn of 2016. It is important to keep in mind that they had to operate during a “humanitarian pause”, when the actions of strike aviation was minimized. Despite this, they managed to liberate the city from the enemy block by block. Currently, the Tigers are executing an offensive on the ISIS stronghold in the area of the city of al-Bab in Aleppo province. The success of the Tiger Forces is largely due to the strategic talent of Suheil al-Hassan. He has unquestioned authority with his fighters and has already become a national hero of Syria. Suheil al-Hassan has proven himself not only as a successful military commander, but also as an unlikely, yet talented diplomat. According to some sources, regardless of the sector of the front where his unit was operating, he was able to establish contacts with local clans and persuade them to bring their forces, including military units, to fight against the common enemy. It is also important to note that in the environment where the centralized combat logistics system of the Syrian Arab Army has actually been destroyed, the fighting units often have to provide themselves with the necessary resources required in their area of operations. In order to accomplish this, they try to gather support of local leaders. Despite the fact that in the information bulletins the Tiger Force is referred to as a “division”, only about 1,000 soldiers are fighting with the unit. Therefore, in actuality, the unit is a special forces battalion. Accurate information about the structure of the Tiger Forces is unknown. It is known that they contain the Cheetah Forces, commanded by Colonel Shadi Isma’el. Cheetahs “Team 6” took part in the liberation of Kuweires airport, and “Team 3” participated in the encirclement of the ISIS forces in the east of Aleppo. The Tiger Forces also include the Panther Forces, commanded by Ali Shaheen. The division was involved in the Palmyra offensive (March 2016). The Tiger Forces use the same weapons as the majority of the SAA; however, they are issued on a priority basis with the most modern weaponry being supplied by Russia. In the summer of 2016 during the offensive in Aleppo, the Tigers were fighting using Russian T-90 tanks. In a number of photos taken of the AK-74M assault rifles of the unit’s fighters, 1P87 collimator sights, which are included in the Russian “future soldier” infantry combat system “Ratnik”, are clearly identifiable. Also, during the fighting in the area of Deir Hafer Plains in Aleppo province, the Tigers used one Russian armored vehicle “Rys LMV”. 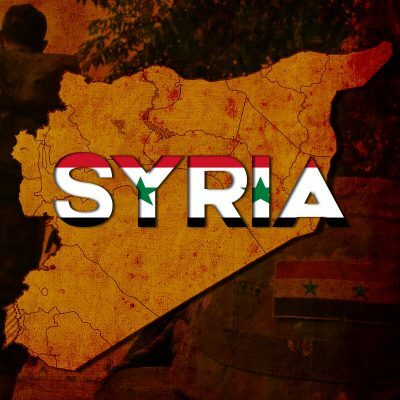 Tiger Forces are on a priority basis, provided with artillery and air support of the Syrian Arab Army, as well as of the Russian Aerospace Forces. Military commanders understand that the Tigers are always located at the most critical sectors of the front, and that the successful outcome of major operations often depends on them. It is important to note that the Tigers have demonstrated the ability to learn various tactical innovations quite rapidly. They also successfully execute them. For example, in the Homs province they brought forward assault groups to the front line of the enemy, attacked it in a massive stroke, and then retreated quickly and without battle losses. Harassing the enemy in such a way, the Tigers succeeded not only in seizing the initiative, breaking the enemy’s offensives, but they also forced the jihadists to leave their positions. Tiger Forces were among the first government forces to use special tactics against car bombings (jihadmobils), exposing their observation posts, which were equipped with antitank weapons. It is known that the Tigers maintain active contacts with Russian military advisers. Therefore, we can be sure that the special forces will continue to improve their understanding and execution of battle tactics, including the use of new weapons. Despite the fact that the Tiger Forces have successfully conducted a large number of operations, their creation is not an indication of the strength of the Syrian state, or the army, but actually a sign of weakness. In 2013, the Syrian army was torn apart by ethnic and religious tensions after the mass desertion of a large part of the personnel, and actually lost a high degree of fighting capacity. Along with the Desert Falcons, which were created as the PMC for the protection of oil and gas fields, the Tiger Forces retain a large degree of autonomy from the central authorities. The financing of such paramilitary units is carried out either by the local population or by influential individuals. This often leads to the instability of such combat units. In practice, as we know, the highest efficiency is demonstrated by units formed along ethnic and religious lines. It is obvious that such a principle of formation of these units allows them to stay motivated. This in turn, also improves the morale of the staff. For Alawites, members of the Republican Guard, Desert Falcons and Tiger Forces, a victory in the war is a survival factor of their community. That is why these units are fighting so desperately. This also applies to the Shiite units and the Kurdish People’s Protection Units (YPG). Naturally, there are significant disadvantages to this system. For example, sometimes such units have low mobility. They are frequently attached to their territory of traditional residence. It is known that in Aleppo, Kurdish units even refused to fight in neighboring blocks that they did not view as their historical community. In many regards, despite the fact that the terrorists and the opposition are fighting a mixed army of allied units, in the future, after the relatively stable cessation of arms comes to pass, it will be difficult to find an equitable and stabilizing balance of power and interests, not only between the former enemies, but also between the recent allies. In such a situation, to maintain peace and ensure the country’s territorial integrity, the guarantees provided by external actors including Russia, the US, Turkey, Iran and other regional and global powers will play a critical role. I am surprised that such a relatively small force can influence larger scale clashes. It is an other sign that within Syria there isn’t war but civil war, which often has a larger and more dentrimental effect on the civilian population. Also you have the added effect of a morale boost among the regular troops, if the Tiger Forces with Suheil Hassan in person joins the battle. Historic examples are :Julius Ceasar and the Praetorian Guard, Knights Templaer and their grand master, the “garde Imperiale” and Napoleon himself, Leibstandarte SS A.H. and Sepp Dietrich. If such elite forces join, regular forces can rise above their capabilities. Dutch – well said and all very true! Sorry but they did lose. In the fall of Idlib province they where part of the goverment forces. It was already discussed in Youtube comments. Technically, this was not a lose. The Syrian military pulled back its forces. Excellent video overview! Well done to the Tiger’s and their allied forces! Let’s hope Syria manages to get its country back together and bring and end to the Western inspired war for resources and influence underwritten by the hapless US and EU taxpayers and the Central Bankers and their Internationalist New World Order hyper powerful bankers such as the Rothschild’s and Rockefellers. Both the US and EU are a bunch of puppet States enacting an agenda masked by the mainstream media and a totally corrupted political system. Very good video, thanks to everyone who helped preparing it.